Florence is such an amazing city that I often wonder why it has not been used as the set for more films. Italian cities like Rome and Venice have been used for countless international productions, but for some reason, the cradle of the Renaissance barely appears on the big screen. I wonder why nobody thought to shoot a film or a tv series about the Medici family, whose history is so interesting. The documentary “Godfathers of the Renaissance” by PBS, apart for wide-angle sights of Florence, has been set elsewhere as well. 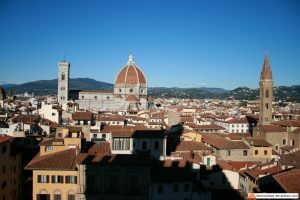 With Ron Howard shooting Inferno (inspired to the Dan Brown novel) in Florence these past days, I thought it was a good time to list the top movies set in Florence in history. Paisan (Roberto Rossellini, 1946), is a film about World War II, part of the “Trilogy of war” and split in six episodes. The 4th episode is set in Florence, devastated by the German Army that destroyed all the bridges of the town (except for Ponte Vecchio). The film got the Academy Award for best writing (original screenplay) and the BAFTA award as best film. In a Florence split in two, with the Southern side freed by the Allies and the Northern side always occupied by the Nazis and Fascists, families and friends are struggling to contact each other. An American nurse, in love with a painter, discovers that her boyfriend became a partisan with the nickname “Lupo”, and another partisan, Massimo, has no news on his family. The couple will try to cross the river to reach the Northern side, at risk of their life. Obsession (Brian De Palma, 1976), is an American thriller where the church of San Miniato al Monte is the main stage. The wife and daughter of a billionaire are kidnaped and die in a car accident after the man follows the suggestion by the police not to pay for their freedom. The man, feeling responsible for their death, is obsessed by his dead wife and by the Florentine church where he first met his wife, where he goes many times. Fifteen years later, in the same monument he meets a woman who is exactly like his wife and falls in love with her. Just married, the new wife is kidnaped as well, and a ransom note is the perfect replica of the one left years before. This movie was the first box office success for Brian De Palma. A room with a view (James Ivory, 1986), is a film inspired to a 1908 novel by the English writer E. M. Forster. It’s a romantic film about the age when English people made tours in Europe to complete the education of young gentlemen (and to find a husband for their daughters). In a repressed culture, a young woman finds the man of her life in the romantic Florence. At first the family of the man looks strange, not compliant to the strict rules of the Victorian age, but then in the end, that’s what makes them interesting. 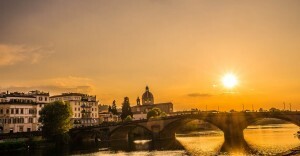 In the wonderful scenery of Florence and the countryside around, this love story will have a happy ending. Tea with Mussolini (Franco Zeffirelli, 1999), is set in Florence and its surroundings before and during World War II. A circle of British and American women take care of the growth of Luca, a young Florentine boy, probably representing the director himself. Best Actress in a supporting role BAFTA Awards was awarded to Maggie Smith, and the film won other minor prizes. Hannibal (Ridley Scott, 2001), was the latest big international production in Florence until few days ago. It was a sequel of The silence of the lambs, where Anthony Hopkins returned as the serial killer Hannibal Lecter. Among the locations, were the interiors of Palazzo Vecchio. Inferno (Ron Howard, 2016), is the third film about Robert Langdon, the protagonist of the Novels by Dan Brown, after the Da Vinci Code and Angels and Demons. In all three episodes, Prof. Langdon is played by Tom Hanks. 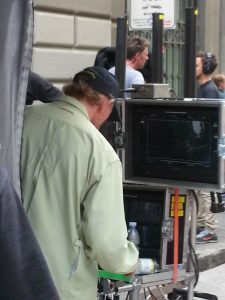 Film shooting was performed in Florence until yesterday, now the set is moving to Istanbul for the final part. The film is scheduled to debut in 2016. 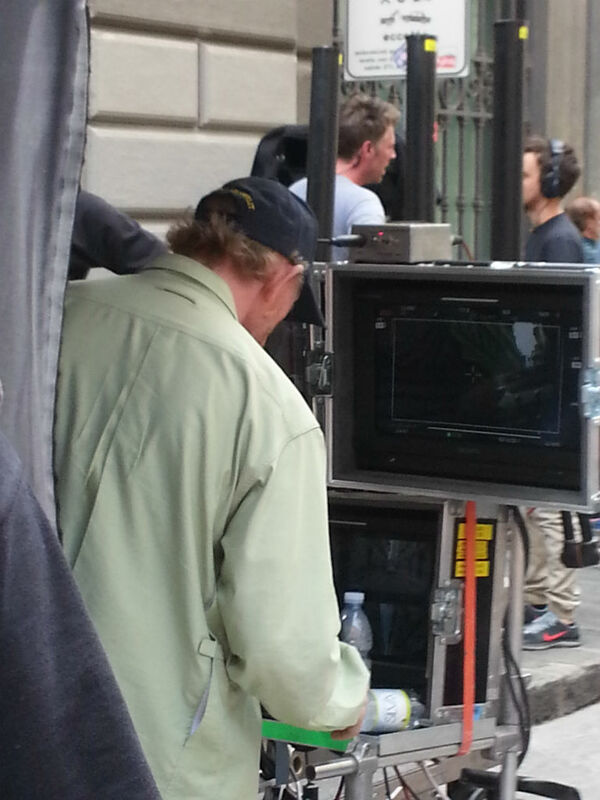 Stay tuned for the latest news on Inferno movie, and read everything about the movie locations. Florence has been the set for many Italian comedies. They are among the most famous films here, but hard to understand because most of the gags are related to the Florentine dialect. Worth mentioning because of the participation of Roberto Benigni (the Florentine actor winner of the Academy Award for La Vita è Bella), is the film “Non ci resta che Piangere” (known as “Nothing left to do but cry”), where two friends, one from Florence and another from Naples suddenly find themselves back in the times of Leonardo Da Vinci. florence, italy. Maybe 1944 or 45. I just saw that movie on tcm and cant remember the name. om gosh, shes in the pic, my mother. can you help me and i can buy the movie.